If you are like me, you look forward to the premier of the HGTV Dream Home each January 1. The creativity of the designers always blows me away. 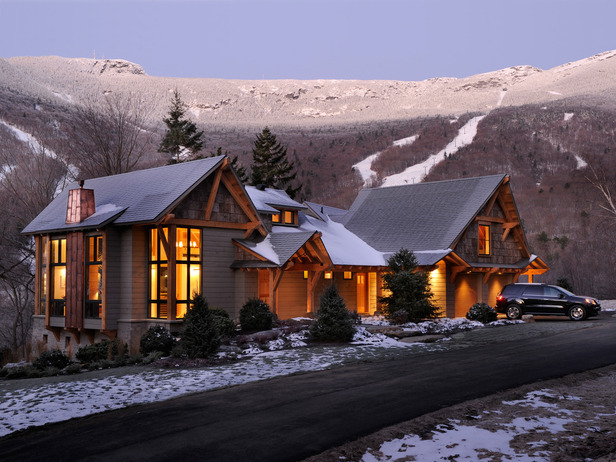 This year, the home is located in the snowy mountains of Stowe, Vermont. 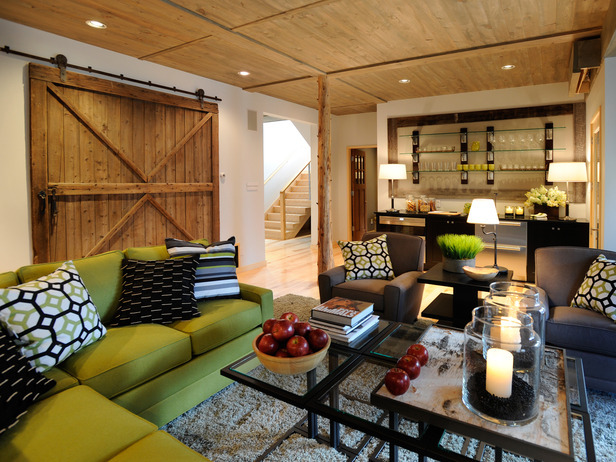 One might think that the decor of a cozy mountain home would be entirely traditional with lots of earth tones. This mountain house is the complete opposite. It is a contemporary oasis flecked with traditional and rustic elements that achieve a very cozy atmosphere. I'd say that interior designer Linda Woodrum did a fabulous job. Wouldn't you want to pull up to this everyday? 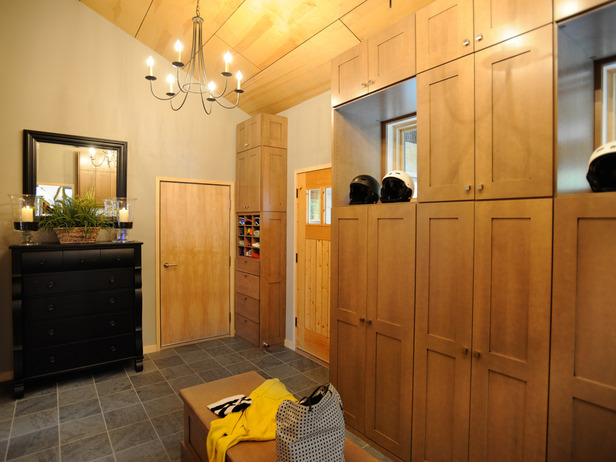 What mom wouldn't want a mudroom like this?? 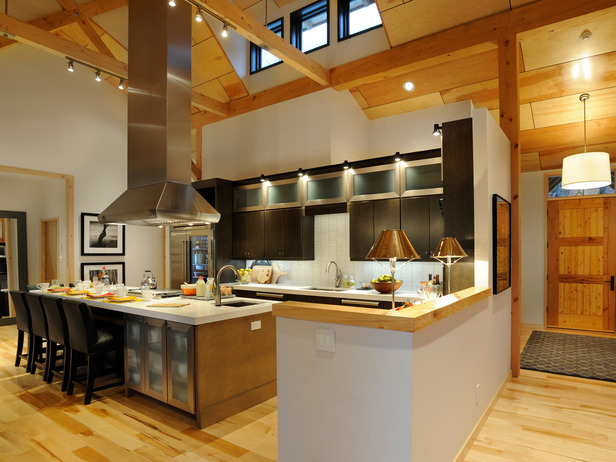 I love the hue of the custom cabinetry and the stone floor. It should hide dirt very well. The black chester drawer is a nice touch, too. I would never imagine that a home in the mountains would have a kitchen with black cabinetry and white marble countertops, but somehow it works here. The green couch totally works in the living room. The accessories are perfectly placed and tie everything together. 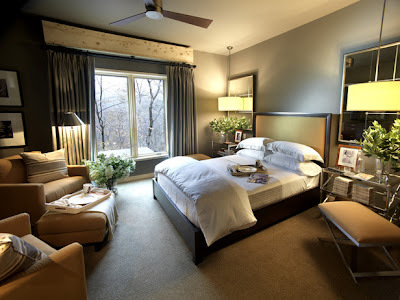 I like the master bedroom. However, I must say that in my opinion, the guest room is a bit better (see below). I like the colors, but it doesn't quite do it for me. But if I won the home, I'd have no complaints! The master bathroom makes up for my slight dislike of the master bedroom. 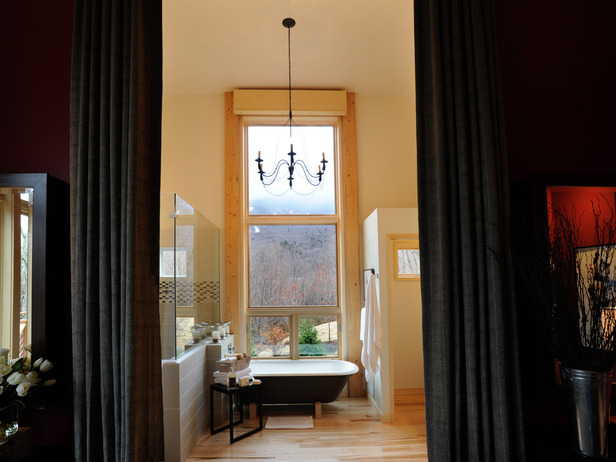 I love the curtained entrance, the light wall color and the chandelier above the bathtub. It's light and does very little to distract the view. 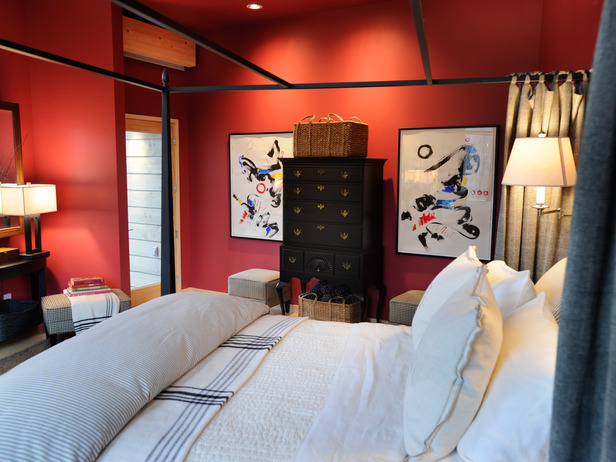 I personally think that the guest bedroom should have been the master bedroom. This room is like a breath of fresh air to me. It reminds me of a hotel room, a beautiful getaway. 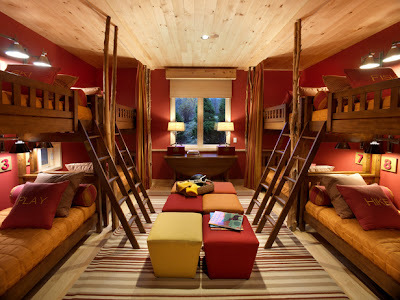 I would have given anything for my college dormroom to look like this ski dorm. And I would have totally been ok with sharing my college dorm bathroom if it looked like this. What do you think? Leave a comment to let me know! 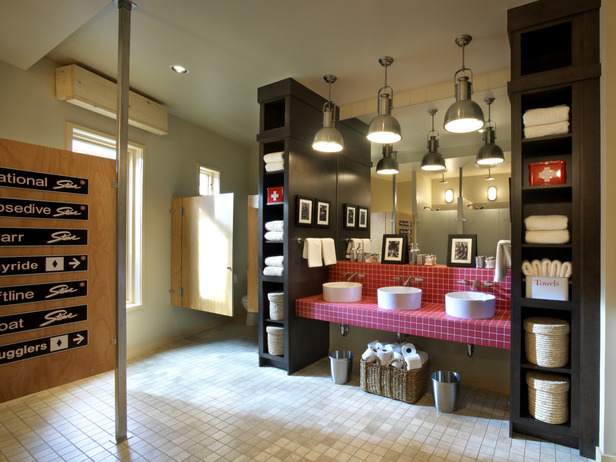 LOVE that bathroom. Such a beautiful home. 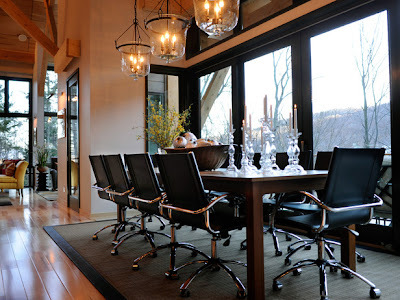 So here are my comments :) I love the openness of the kitchen but I'll pass on the white countertops :) I totally agree with you on the office chairs in the dining room. They are TOTALLY out of place. I also agree that the guest room should have been the master bedroom. The current master bedroom seems small in comparison to the guest room. I really like the colors in the ski dorm. It's a very nice room.